1. DATE: Tuesday April 16, 2019, 7:00 p.m.
PURPOSE: General meeting and nominations for Delegates to the IUPAT General Convention. 2. 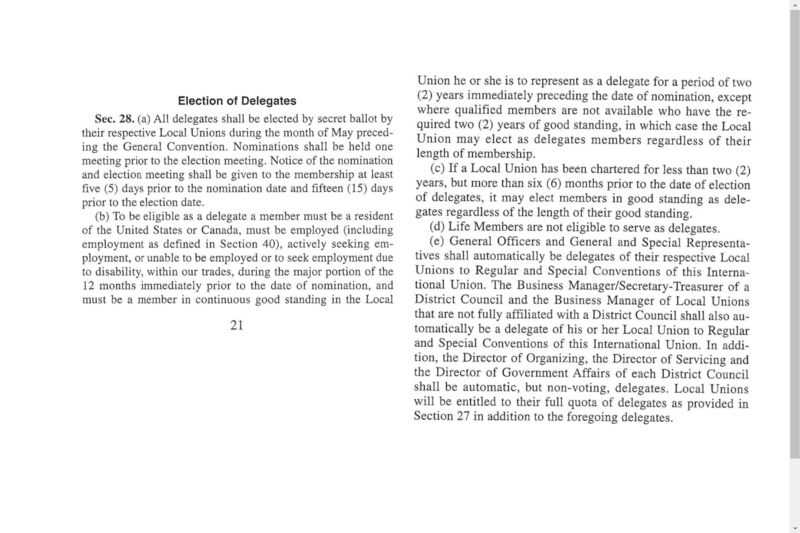 DATE: Monday, May 6, 2019, 6:00 p.m.
Purpose: Election of Delegates to the IUPAT General Convention. • Please be advised that the General Convention will be held in the United States; therefore, a valid passport is required.